View all the Relay FM show art here or download wallpapers here. 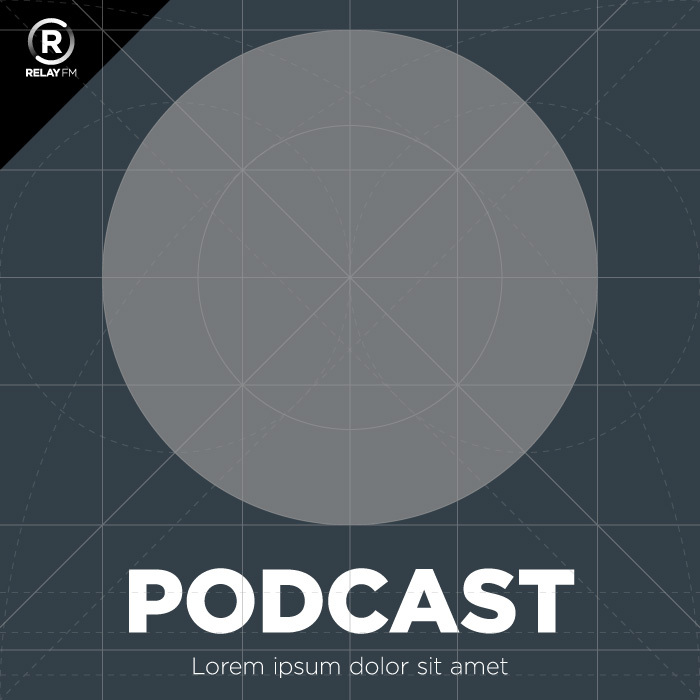 As a new, independent podcast network, Relay FM’s branding requirements included logo design, development of a colour palette for the website, and artwork for each of the five shows in the launch line-up. 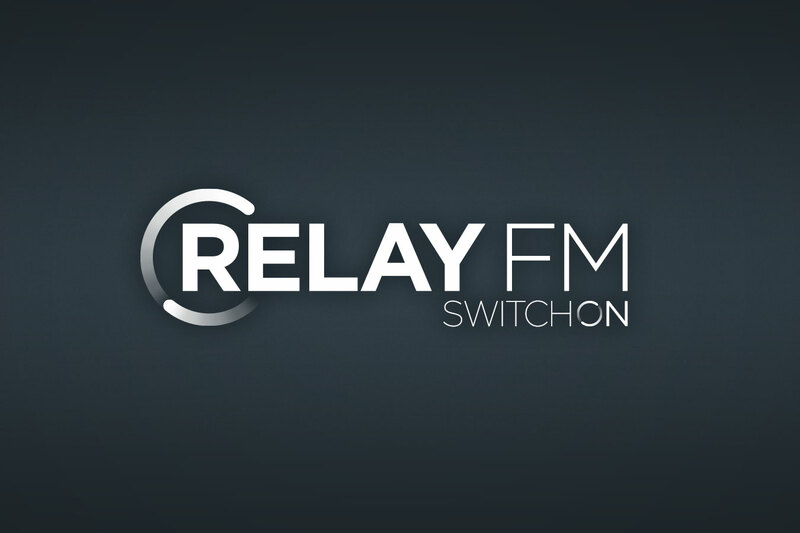 The Relay FM logo needed to be simple, strong, and able to blend in with the artwork for shows covering a diverse range of topics. The circle device represents the cyclical action of a relay team and recalls the rotary motion used to navigate iPods (the origin of the term ‘Podcast’). Relay |ˈriːleɪ| noun 1. A group of people engaged in a task or activity for a period of time and then replaced by a similar group. 2. An electrical device activated by a current or signal in one circuit to open or close another circuit. 3. A device to receive, reinforce, and retransmit a signal. 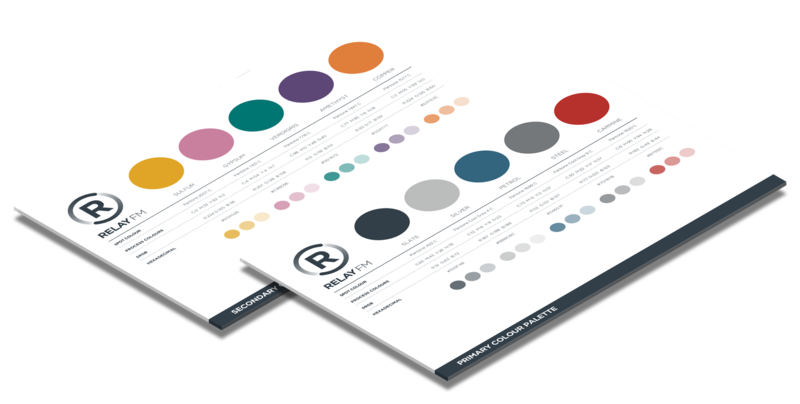 As part of the branding process, two colour palettes were developed for Relay FM. The primary palette consists of cool grey tones, a petrol blue and a red accent colour and is used for the network’s identity. Each show on the network is given a key colour which can be chosen from either the primary palette or the extended secondary palette. 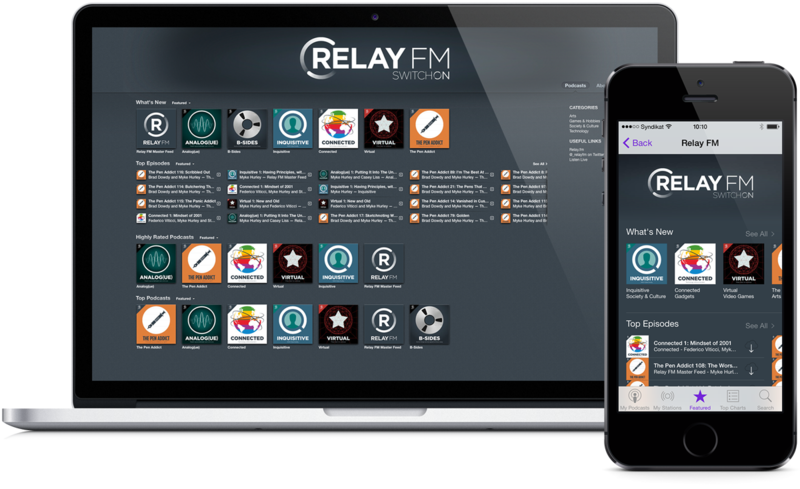 In order to create visual continuity across the artwork for shows on Relay FM, a grid system was developed. The grid enables each show to have its own personality and theme while remaining rapidly identifiable as a network title. The launch line-up: Analog(ue), Connected, Inquisitive, The Pen Addict and Virtual. View all Relay FM show art. 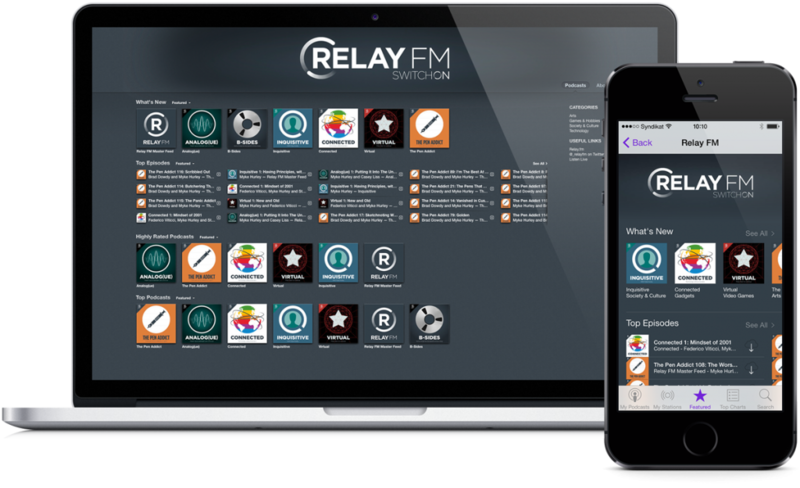 Relay FM was featured in the iTunes Store on launch day, so banner artwork was required for the network as well as for each show.